God and morality are often thought to go hand in hand. Religious believers commonly presume to moral superiority over the atheist, sometimes proclaiming odd things like ‘if you don’t believe in God, what basis have you for not killing your neighbour [or other morally heinous act]’. From whence does this moral superiority spring? Part of the answer is cultural and educational: when I challenge students to defend moral views they often appeal to religious edicts that they learned in school or from their parents. This suggests to me that —at least until they get to university — moral or ethical principles are typically conveyed to them in religious packaging. But part of the answer is philosophical too: over the centuries many philosophers have defended the notion that morality depends on the existence of God. Let’s call anyone who defends such a dependency relationship a proponent of a ‘moral argument’ for God. What I want to consider in this post (and the next) is the various ways in which these proponents cash out this dependency-relation. In doing so, I’m heavily guided by an essay I recently read by Peter Byrne entitled ‘Kant and the Moral Argument’, which appears in Jeffrey Jordan’s edited collection Key Thinkers in Philosophy of Religion. As you might gather from the title, the essay is primarily about Kant’s moral argument for God, but in the process it has some interesting insights into the nature of moral arguments and their deficiencies. Probably the most useful thing about Byrne’s essay is how he frames his discussion in terms of a taxonomy of moral arguments. 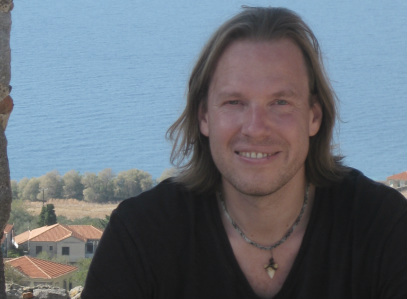 He argues that religious defences of the relationship between God and morality tend to come in two main flavours: evidential and non-evidential. 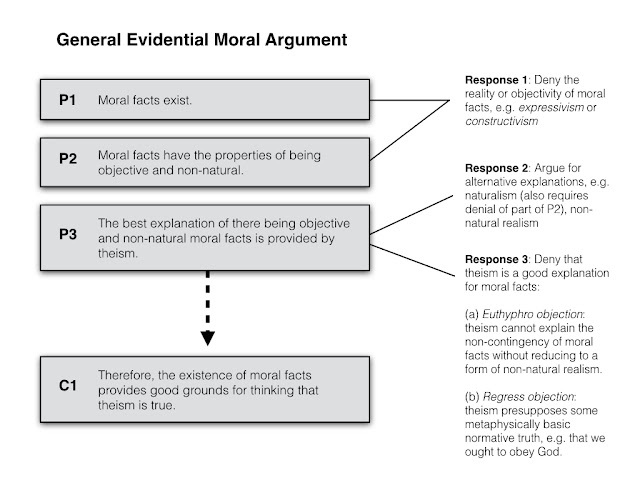 Similar distinctions are drawn in many branches of religious philosophy — think about the problem of evil and its logical and evidential varieties, or about the classic distinction between a priori and a posteriori proofs of God — but the ‘evidential’/‘non-evidential’ labels carry a somewhat specific meaning in the context of moral arguments. Examples of such arguments are abundant in the literature. We’ll discuss a general version in a moment, but the majority of moral arguments for the existence of God take this form. They start with the observation that moral facts have some curious property or attribute; they then proceed to argue that only God can explain that property or attribute. Non-evidential arguments are rarer. You may not be aware of it, but if you do a lot of reading about the philosophy of religion you are likely to have come across versions of this argument. Kant’s moral argument for God takes this form, for instance, and will be discussed in part two. William Lane Craig has also defended variations of this argument. He sometimes claims that justice or accountability are only possible if God exists. I’ve discussed his arguments to this effect on previous occasions. That gives us the following taxonomy. 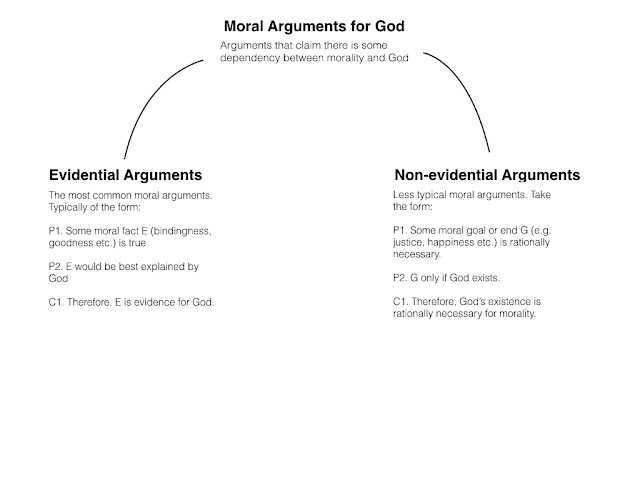 As I say, the majority of moral arguments for the existence of God take the evidential form. They start with some observation about moral facts, e.g. their alleged bindingness or obligatoriness, or with some puzzle about moral properties. e.g. their metaphysical queerness. They then claim that God is the best grounding/explanation for those puzzling properties. They all work from within a moral realist standpoint, i.e. from the assumption that moral facts are real. (2) Moral facts have the properties of being objective and non-natural. 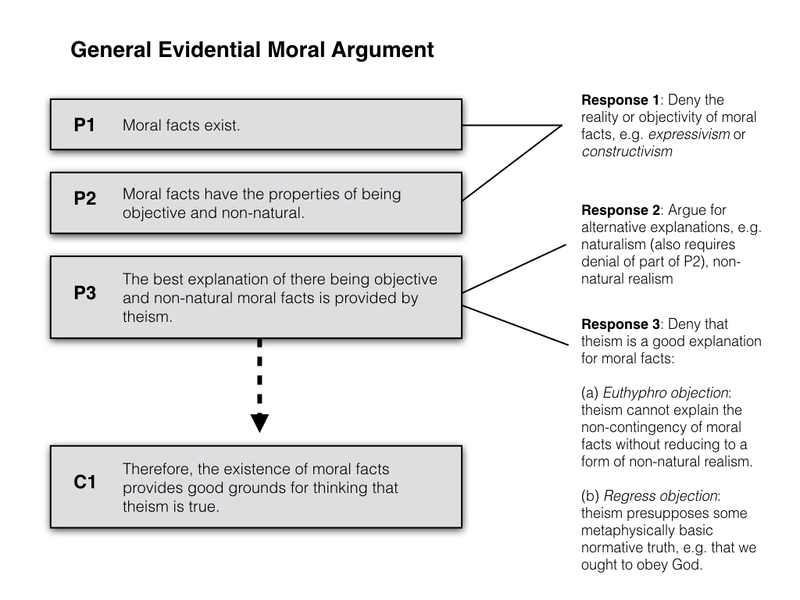 (3) The best explanation of there being objective and non-natural moral facts is provided by theism. (4) Therefore, the existence of moral facts provides good grounds for thinking that theism is true. The second premise of this argument requires a little unpacking. Adams’s defence of it focuses on the contrast between natural, scientific facts and moral facts. Natural, scientific facts are clearly objective: they are capable of inter-subjective assessment and verification (or falsification if you prefer) and can be confirmed through observation and experimentation. Consider the case of water being H2. This is something that can be verified through chemical experimentation. A similar process of investigation and assessment is possible for other natural and objective facts. More importantly, the ontological properties of natural and objective facts have a distinctive character that makes them eligible for such investigation. The problem is that moral facts feel very different from this. Where is the experiment that tells you that torture is wrong or that pleasure is good? Where do you ‘see’ the goodness and badness? It seems like moral facts are in a very different ontological ballpark to natural scientific facts. And yet, at the same time, statements like ‘torture is wrong’ and ‘pleasure is good’ seem like obvious, objective truths. Their objectivity must be grounded in something other than the natural world. That is the motivation underlying premise (2). With premise (2) explained, the rest of the argument is relatively easy to follow (even if you reject it). Premise (3) claims that God is the best explanation for the objective and non-natural quality of moral facts. One reason for this is that he is (according to most conceptions of God) a non-natural being. Another is that he has the right kind of properties (authority, goodness etc) to create binding moral norms. Divine command theories are typically marshalled in to support this premise. The conclusion would then follow on a probabilistic basis. Technically, a bridging premise would be needed — presumably along the lines of ‘if X is the best explanation for E, and E is a fact, then E provides good grounds for believing in X’ — and you might query that bridging premise, but I’ll ignore that technicality in what follows. So how does one respond to the evidential argument? Byrne identifies three main strategies. The first is to challenge premise (1) or (2) and deny the existence of ‘objective’ moral facts. There are several different ways to develop this response. You could reject the entire stance of moral realism upon which the argument is founded. You could believe that moral facts are simply expressive of our attitudes or sentiments toward particular actions or states of affairs, for example. Alternatively, you could take issue with the objectivity of moral facts. It all depends on what ‘objectivity’ means, of course, but if we suppose it means something like ‘mind independence’ (i.e. moral facts exist independent of moral observers), then one common response would be to adopt a constructivist conception of moral facts. According to constructivism, moral facts are constructed out of mental attitudes. This doesn’t mean that moral facts are incapable of being true or false — rejecting objectivity doesn’t mean embracing abject relativism — it just means that they are ontologically dependent on certain mental states. Anyway, whatever its precise details, we can call all such responses to the argument irrealist responses because they tend to deny the traditional take on moral realism. Another way to respond to the argument is to argue that there are alternative (better) explanations of moral facts. One possibility here is that moral naturalism is plausible. In other words, that moral properties are not as ontologically odd as they first appear. Just as water can be reduced to more fundamental chemical constituents, so too can moral facts like the badness of pain be reduced to natural facts. That, at any rate, is the promise of naturalistic theories like Frank Jackson’s moral functionalism. An alternative possibility, and one I have explored several times on this blog, is non-natural moral realism. According to this view, moral facts cannot be reduced to natural facts, but that doesn’t mean that they are best explained by God. On the contrary, they are a kind of sui generis, metaphysically basic, feature of reality. The common analogy is to mathematical realism of the Platonic sort. Euthyphro problem: They are vulnerable to the classic Euthyphro dilemma, according to which divine commands cannot explain the non-contingency of moral facts. Theists defend against the classic Euthyphro by using modified Divine Command Theories. These modified theories hold that certain fundamental properties of God (specifically his divine nature) constrain the moral commands he can give, and hence allow them to avoid the problem of contingency. But these modified theories are vulnerable to revised versions of the Euthyphro dilemma. I’ve looked into this in more detail in the past. Regress problem: In order for divine command theories to work, they seem to have to presuppose the existence of a more fundamental normative principle, namely: that we ought to obey the command of God (or of a perfectly good being). But then this more fundamental normative principle is objective and non-natural and hence also in need of an explanation. Theistic responses to this objection have to resort to some metaphysical buck-stopping argument. In other words, they have to accept that there are some metaphysically basic normative principles and simply explain why it makes more sense to stop at one’s that require the existence of God rather than others. This is also something I have got into in my discussions of non-natural moral realism. For what it is worth, if I were to respond to an evidential argument, I would probably appeal to some version of all three responses. To start with, I would be inclined to forms of irrealism, particularly constructivism about moral obligations. This would, in turn, make me a naturalist about the explanation of some moral facts (they are reduced to 'natural' facts about human minds). But I tend to favour non-natural realism about other moral facts. I think some axiological truths (i.e. truths about fundamental categories of good and bad) are metaphysically basic, as well as some normative principles (i.e. principles of rationality and reason). My view is then that most concrete or specific normative principles are constructed out of these more metaphysically basic truths. There are many different ways in which this construction project can be undertaken, depending on circumstances of history and fact, meaning that there is some relativity to morality. But I think this is defensible. Not even the most ardent theist would deny that moral commands are sometimes situationally specific. I also think that theism is, in most cases, a bad explanation of moral facts. Indeed, I think that, in practice, theistic explanations of moral facts tend to collapse into some form of non-natural realism.